The “Shaklee Effect” is having a major impact on people’s lives. Below are some of the most amazing stories of lifestyle transformations that we’ve ever heard of. Get ready for some inspiration. Having a child was her #1 dream, but Ashley was diagnosed with cervical cancer when she was 25 and had 80% of her cervix removed. She had to face the reality that she could never have children. She gained weight shortly thereafter, and lost confidence in life. Then she found shaklee. She won a Shaklee 180 competition and was flown to San Francisco, where…she found out…she was pregnant! She repaired her body through Shaklee, and achieved her dream. She’s now a mommy! Corrie-Beth and Mike own a fitness studio, recently got married and experienced what I call the “generational effect.” Corrie-Beth used to give her Shaklee vitamins away at college (ha! ), but only recently discovered (from her grandmother) that she could make extra income by sharing them with others. Once Mike began taking Vitalizer and experiencing quick health benefits, they saw the light. Sharing Shaklee with their fitness studio customers was a match made in heaven…just like them. These two ladies (stay-at-home moms) had a mutual friend who posted on Facebook about using Shaklee, and became friends in the comments on their friend’s Facebook posts. What a story! They both used cloth diapers for their kids, but Amber’s girl was experiencing water eyes, runny noses and other allergic reactions to her laundry detergent. After switching to Shaklee’s Get Clean laundry detergent, her daughter’s symptoms began clearing up…and they developed a new friendship! They both continue to share Shaklee with their friends and family and are growing their family’s income as a result. I love Bonnie’s story. It reminds me of my own, when I joined Shaklee in 1982. She realized that she can have a career, and be a mom, and not have to sacrifice who she wants to be. 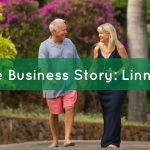 She has an incredible success story with Shaklee, and has built a team of like-minded individuals who have helped her create a life of both health and wealth. Want to Discover Your Own “Shaklee Effect” Story? Contact me and let’s just talk. The only way things will change is if you take a chance. Take a chance with Shaklee. Maybe it will be you telling your story in a video like these one day.